Projects such as Still Be Here, a collaboration with experimental electronic artist Laurel Halo, proved that the concept of Hatsune Miku could be taken in the most avant-garde directions. However, the Hatsune Miku Expo 16 EP serves as a reminder that, in many ways, she's the people's pop star. Commemorating the vocaloid singer's 2016 world tour -- and her first to include multiple U.S. dates -- the EP began as a PledgeMusic project and features songs and remixes by a wide array of artists, including Miku Expo Song Contest Grand Prize winner CircusP's "Ten Thousand Stars." 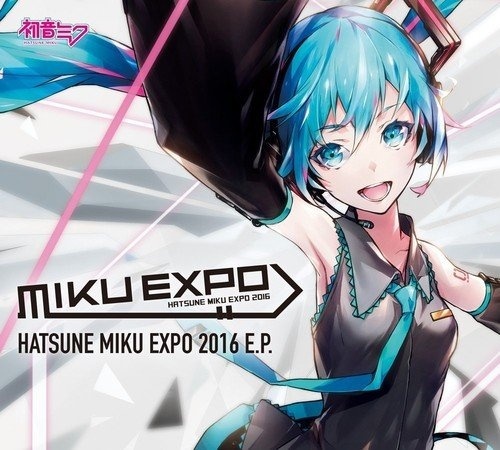 Also included are Hachioji P's "Blue Star," the theme song to the Expo 16 tour, as well as remixes by Mark Redito, Carpainter, and Trekkie Trax. Songs by BIGHEAD, ϕrkestrate, and AlexTrip Sands round out the collection, which reaffirms that Hatsune Miku's limitless possibilities include fans making songs for fans.